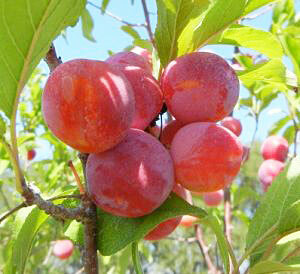 Toka or Bubblegum Plum is a small tree that is typically grown for its edible qualities. 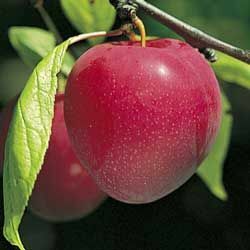 It produces crimson round fruit (technically ‘drupes’) with gold flesh. 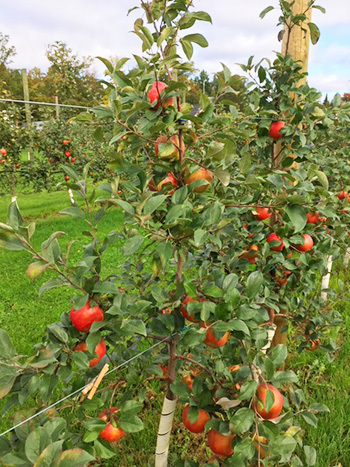 We recommend to use Toka as your pollinator. 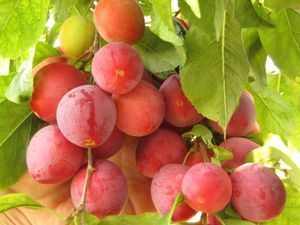 General Description: Toka, also known as Bubblegum Plum, is one of the best pollinators of all the plums. 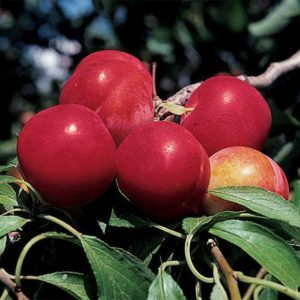 The skin is reddish bronze, with richly flavored, spicy sweet, apricot-colored flesh.This hardy tree is moderately vigorous and produces heavy crops that ripen in late August into September.